On this episode of the "Sponsored" podcast, Glen Plake comes on for part two, recorded just after the 2016 presidential election. Plake discusses the election with host Mike Powell. This week on the "Sponsored" podcast, Mike Douglas tells his story, including the time he first went skiing—on a school trip when he was in the fifth grade, at Vancouver Island's Mount Washington. On this episode of the "Sponsored" podcast, host Mike Powell interviews top big-mountain skier Hadley Hammer. A Jackson Hole local, Hammer stands out for her intelligence and ability to drop massive cliffs effortlessly. On this episode of the "Sponsored" podcast, presented by Powder Radio, host Mike Powell interviews Greg Stump, who is among the most influential people in skiing ever. The man behind Maltese Flamingo, Blizzard of Aahhh's, and other classics, Stump changed the way ski movies look, feel, and sound. Stump talks about his growth as a skier and then as a filmmaker, shooting Scot Schmidt, Mike Hattrup, and Glen Plake, who was always pushing the boundaries of, well, everything. On this episode of the "Sponsored" podcast, presented by Powder Radio, host Mike Powell interviews Cody Townsend, who was fresh off a "jungle skiing" shoot as the stunt double for Vin Diesel. Townsend talks about how, as a kid, he followed the stars of Squaw, like Shane McConkey, JT Holmes, and Kent Kreitler, until they let them ski with him. Glen Plake, the most recognizable skier ever, is still punk. Despite the fame and his perspective on skiing is still humble, interesting, refreshing, and honest. On this episode of Powder Radio's "Sponsored" podcast, the first in a three-part series with Plake, he tells host Mike Powell talks about how the influence of the hot-dogging era, and the loss it represented to skiing, when an over-litigious society destroyed it. Sammy Carlson's start began with a fateful powder day in which he missed a ski training on Mount Hood. On this episode of the "Sponsored" podcast, presented by Powder Radio, Carlson tells host Mike Powell that after he missed the training, his coaches wouldn't let him ski in a big race. So he and a buddy hiked over the backside of the hill where the park was. On this episode of the "Sponsored" podcast, presented by Powder Radio, host Mike Powell interviews Kent Kreitler, one of the pioneers of skiing in the 1990s. The two discuss his college roommate, Shane McConkey, the challenges of making it in skiing, and moving on from being a professional skier. 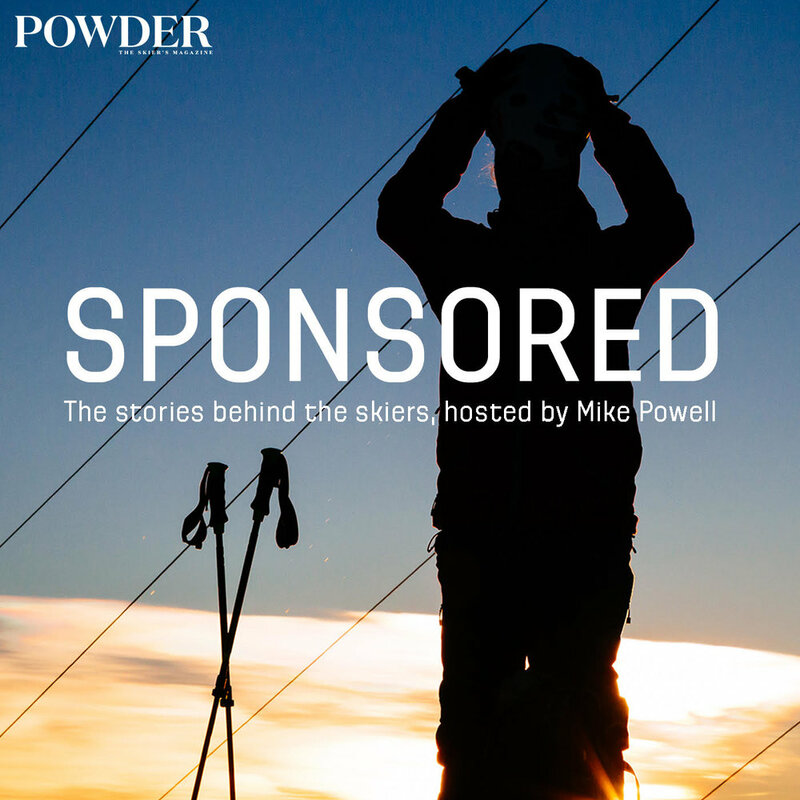 On this episode of the "Sponsored" podcast, presented by Powder Radio, host Mike Powell interviews Michelle Parker, one of the most well-rounded skiers in the sport and an eternal optimist. On this episode of the "Sponsored" podcast, presented by Powder Radio, host Mike Powell interviews Chris Benchetler, one of the most successful athletes in skiing, who is known for his style. The two discuss food, marriage, and tragedy.